The Mount Waverley Cricket Club is excited to announce that we have secured an election commitment from the State Labor Government, should they be re-elected at the upcoming State Election on 24 November, for $150,000 of funding to be put toward a the redevelopment of the facilities at Mount Waverley Reserve. The continued and recent growth in participation in our male, female and junior age groups towards Tennis, Cricket, Netball and Football has been significant and it is time our facilities reflected this community engagement enabling our clubs to service the demand. Labor candidate for the seat of Mount Waverley – Matthew Fregon and sitting upper house member for the Eastern Region – Shaun Leane, have secured this funding commitment which will be a critical first step in redeveloping our facilities at Mount Waverley Reserve and securing our future as the community Cricket Club of choice in the eastern suburbs. 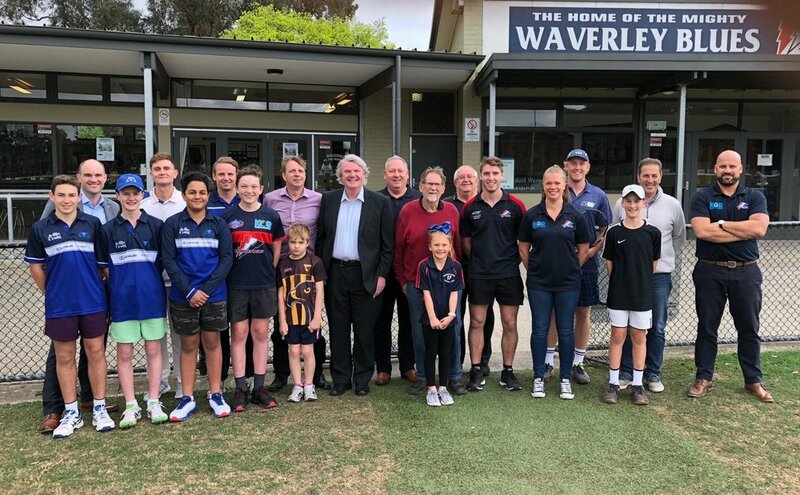 Over the last 12-18 months, our Club has been in ongoing dialogue with the Waverley Blues Football and Netball Club and Mount Waverley Tennis Club about developing a shared vision for a mutually beneficial redevelopment of the sporting and community facilities. Importantly, we have been able to build a strong relationship across all parties and alignment in a vision for a future redevelopment. When we had the opportunity to engage with Matthew and Shaun in recent months, this collaboratively relationship and shared vision were critical in enabling them to prosecute our position within Government and secure this starter funding. Subject to the outcome of the election, we will now continue to work together with the State Government, Monash Council and other key stakeholders to develop the master plan and eventually and funding plan for a redeveloped Mount Waverley Reserve. The Club would like to acknowledge and thank Matthew and Shaun for the proactive way they have engaged with our Clubs. They have done what they said they would do and we now have a clear pathway forward to a securing a redevelopment that will serve our Club and community well into the future.